The Zoom F8 Multi-Track Field Recorder & Carry Bag Kit from B&H comes with everything you need to start making professional recordings both on-set and in the field, and for applications such as filmmaking and electronics news gathering (ENG). The kit comes with the Zoom F8 Multi-Track Field Recorder, the Stingray Junior protective carrying bag with shoulder strap, and the KSWB1 Stingray waistbelt. 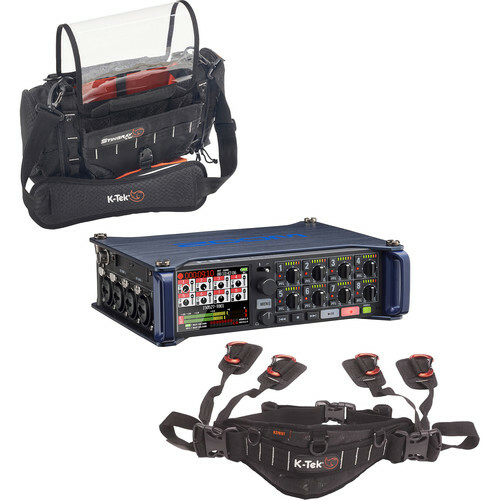 F8 Multi-Track Field Recorder & Carry Bag Kit is rated 5.0 out of 5 by 2. Rated 5 out of 5 by Derek B. from F8 Multi-Track Field Recorder & Carry Bag Kit Awesome project.